USB powered displays aren't new, but Engadget noticed at CES that now even HP is dabbling into this market with the U160. This new USB-powered screen is a 15" model with a 1366 x 768 pixel resolution, it comes with a built-in leather case so you can easily take it with you to give presentations. 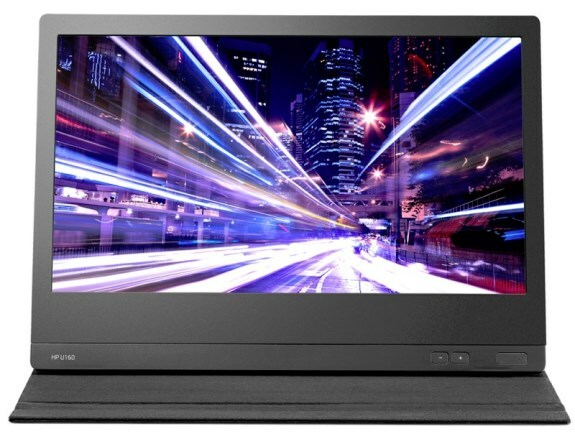 The HP U160 USB monitor will hit the market later this month for $179. It weighs 3.4 pounds and measures 1.2 inches thick, which for comparison's sake means it's slightly heavier than whatever Ultrabook you're carrying around. Interestingly, HP won't discuss the other specs in great detail, except to say that the contrast ratio and brightness levels are comparable to most notebook screens.